Boris Johnson's plans to build an airport in the Thames estuary are unlikely to be shortlisted by the Airports Commission due to the huge impact on wildlife they would cause, Politics.co.uk understands. The commission is officially still considering whether to place the estuary airport plans on a shortlist of options for expanding airport capacity in the UK. However, a source at the commission told Politics.co.uk that the huge environmental costs of creating new habitats for migratory birds makes it very difficult for the scheme to go ahead. "The impact on birds makes it very difficult," the source said. Under European environmental directives, the estuary airport could only go ahead if planners could demonstrate there were no alternative locations elsewhere, and that suitable replacement habitats could be created. However, a report by the British Trust for Ornithology (BTO) out today highlights the huge hurdles to passing these tests. According to the BTO, large numbers of birds would "most likely die out" if their habitat was lost, even if alternative areas were created elsewhere. While many birds would be able to relocate, suitable replacement habitat would be extremely difficult to find and could take decades to provide sufficient food and shelter for the migratory birds currently using the estuary. The report's findings are very similar to those contained within four independent reports released by the Airports Commission recently. Consultants hired by the commission found that Johnson had overestimated the benefits and underestimated the costs of building an airport in the estuary. The estuary airport is also finding growing political opposition from within the Conservative party. This morning, the Conservative MP for Gillingham, Rehman Chishti, held a roundtable event in parliament alongside representatives from Conservative-run Medway Council. "The evidence against a hub airport at the Thames Estuary is compelling," Chishti told representatives from both the Airports Commission and Transport for London at the meeting. "The independent evidence in this report [by BTO] should have a huge impact on the airports commission's decision this September." 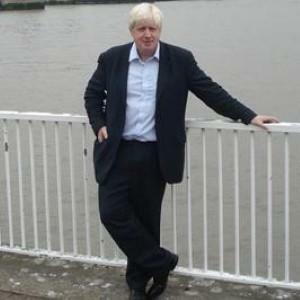 Robin Cooper, Director of Regeneration at Medway Council, described Johnson's plans as "Mickey Mouse" and urged him to drop the "vainglorious" and "fanciful" scheme. "We're talking about a city the size of Manchester moving into Kent and there simply isn't room... for this vainglorious idea by the Mayor of London," he told the BBC earlier. "We're not talking about a small number of birds. We're talking about hundreds of thousands of birds here. "The idea that you could successfully relocate these birds to somewhere like Essex or somewhere like East Anglia simply doesn't wash and the report shows that quite conclusively." A source at the council told Politics.co.uk, they were "75% sure" the scheme would not be shortlisted by the Airports Commission. Speaking to the BBC, Johnson's airports adviser Daniel Moylan insisted "the [environmental] tests could be passed" and claimed the cost of relocating the birds had been wildly overestimated by both the BTO and the Airports Commission. "We don't agree with the cost per hectare of doing it," he said adding that there were "plenty of sites" where birds could be relocated to. A representative from TfL said they "welcomed" the BTO's report and insisted they were looking into how they could overcome the legal difficulties posed by European environmental directives. The Airports Commission's consultation on the proposals will end next month. They are then set to announce their shortlist of projects in September.